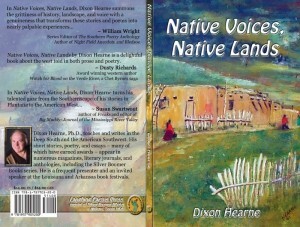 Native Voices, Native Lands, by Dixon Hearne, is a delightful book about the west told in both prose and poetry. There is nothing cardboard or faint in the stories he shares. I would say he had made footsteps in most of those places from western Arkansas to the Sierras. You will taste the land and feel in their boots – good book. In Native Voices, Native Lands, Dixon Hearne summons the grittiness of history, landscape, and voice with a genuineness that transforms these stories and poems into nearly palpable experiences. Hearne’s deftness with sound and sense recall for us the ghosts of other times, revealing how history is not linear but embedded in collective memory, both frightening and freeing. Full of dynamic imagery, these are narratives of struggle and dignity, danger and the “weight of generations,” from which a hard-edged and powerful beauty blooms. 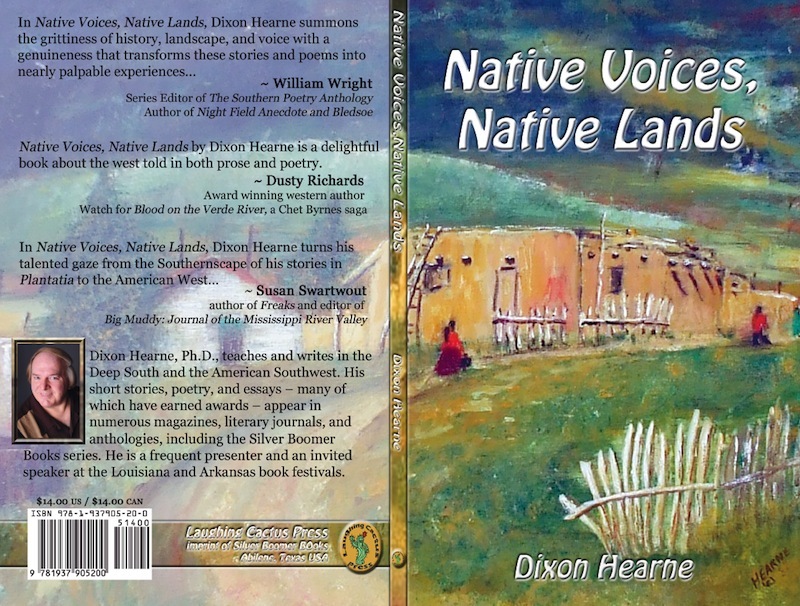 In Native Voices, Native Lands, Dixon Hearne turns his talented gaze from the Southernscape of his stories in Plantatia to the American West. His enchanting stories and poems skillfully pair the tough existence of Native Americans, settlers, and ranchers attempting to survive and thrive along with the ever-present spiritual auras of past tribes, explorers, and the magnificent land itself.